Animals’ Crusaders is an all volunteer, non-profit (501c3) corporation. Without donations from the public we would not be able to continue our rescue efforts. 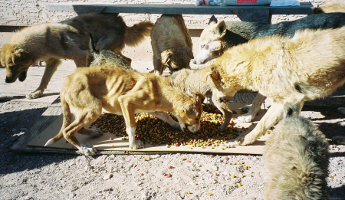 We would not be able to feed stray animals like the ones pictured below. We could no longer spay and neuter animals to ease overpopulation. We would have to quit rescuing and rehabilitating abused and abandoned animals because we couldn’t afford the vet and kennel fees. We would have to stop providing vaccines and flea and tick dips to help stop the spread of parvo, mange, distemper, and tick fever. Without donations from the public our hands would be tied, our bank account empty, and many dogs left without food and vet care. We are willing to do the leg work. We will go out and trap injured and hungry strays. We will bring them into our homes and love them, socialize them, take them for walks, keep their food dish full, and clean up after them. We will nurse them back to health. We can transport them to the vet for needed medical attention. We will hold them in our laps and talk softly while we euthanize the ones that can’t be helped. We will find new homes for them, screen potential adopters, and do follow up visits to make sure they are being cared for. We can do the leg work. But if we can’t pay our bills all the leg work in the world won’t feed the hungry dogs or get the sick ones to the vet. If you’ve ever seen a stray dog and wished there was something you could do, now you can do something. If you’ve ever watched animal planet and wanted to help those sick and skinny dogs in someone’s backyard, now you can help. Have you seen the adoption centers at Petsmart or Petco and wished you had time to help; now you have time to help. Hungry dogs of Ali Chuckson enjoy their first meal in a long while. Without your donations our hands are tied. 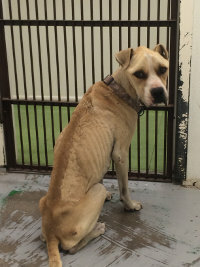 All donations are tax deductible and go directly to helping abused, abandoned, or neglected animals. There are several ways to donate. You can help right now via pay pal or credit card by clicking the visa symbol above, you can send a check to the address below, you can stop by during our adoption days and drop off cash; and meet some of the dogs you are helping. If you would like to make a payment directly to our vet please Contact Us for instructions on how to do so. You could send us a gift card to Petsmart, Petco, or the pet store of your choice. 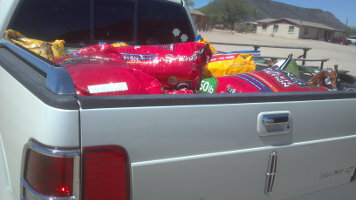 If you have ever wanted to help hungry, abused, and neglected animals; now is you chance. Click the donate button to make your tax deductible donation. You will be taken to a secure PayPal page to enter your payment information. Please consider checking the box for making this a monthly donation to support our work.